As Universal Health Coverage (UHC) becomes the growing focus of global health and sustainable development, it is important to look at how this broad goal is understood. Coverage of population groups, benefits packages, and financial protection have been the staples of UHC in global dialogue. Uganda is just in the infant stages of adopting UHC policies the most recent being the development of a UHC focused health sector development plan. This draws from the national health policy 2, the vision 2040 and the national development plant 2. The recent endorsement of the Sustainable Development Goals in September 2015 also has implications for UHC as Uganda embarks on setting its targets for the next period. 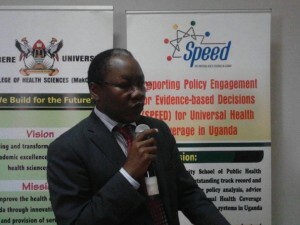 During the first national symposium on UHC funded by SPEED in August 2015 in Kampala, several arguments were put forward regarding the path Uganda needs to take to realize UHC. First, it was argued that PHC is a necessary but not sufficient condition for the realization of UHC. Proponents of this school of thought argue that, a heavily curative health care system is very expensive is bound to fail in any case over 75% of the illnesses are preventable. Others have argued that UHC cannot be funded within the current budget support arrangements; these argue for a national health insurance. However, there are questions over how to deal with a largely informal sector, an already overburdened formal sector with a lot taxes, an ailing public health care system and multiple insurance programs (community schemes, private sector and then the proposed national health insurance). Clearly, there is consensus that Uganda needs UHC; National health insurance is also seen as a vehicle of choice for funding UHC. However, there is still debate on how national health insurance should be designed and implemented to lead to UHC. 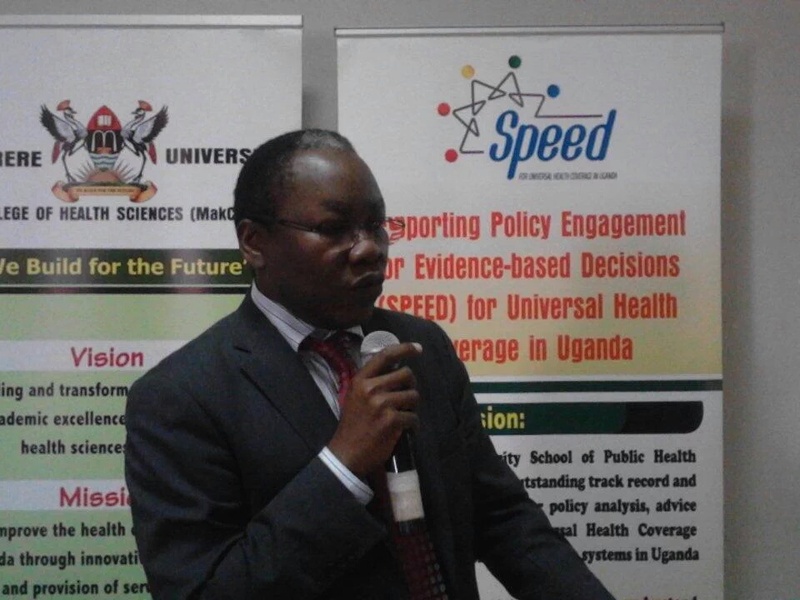 Under the SPEED partnership, UNHCO is tasked to lead a coalition for evidence based advocacy that will influence UHC policies in Uganda. Arising from the above ongoing debates around national health insurance as a mechanism for financing UHC and given the delay in passing the national health insurance policy due to these very differences, SPEED will organize a policy debate to harmonize stakeholder positions on health financing for facilitating UHC. From the various engagements on UHC so far conducted by SPEED and in view of the recent policy developments pointing the direction to UHC, the debate has now narrowed to financing mechanisms for realizing it. 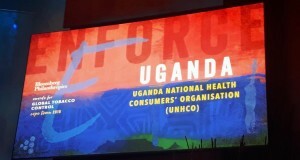 NHIS has been prominently singled out as the major driver for achieving UHC in Uganda. It has also been observed that PHC is a good foundation for successful realization of UHC. There is an unsettled debate on the scope of NHI in terms of the package of care, contributions and operation, the need to optimize Primary Health Care to reduce the curative burden which may hinder realization of UHC. This requires consensus building among different stakeholders to guide the policy direction that meets the UHC principles of equity, population coverage and quality care. Built multi-stakeholder consensus on the suitable public Health financing strategy for Uganda that will drive UHC. 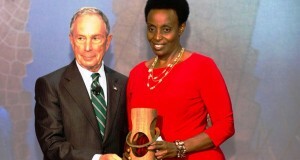 Develop and adopt a roadmap for financing UHC. Key note address on UHC and its short medium and long term implications on public health financing in Uganda. Panel discussion (4) panelists on: (i) political economy for health in Uganda (ii) Suitable funding strategy/model for quality health care, (iii) Influence of budgeting process on public health care in Uganda and (iv) strength and shortfalls of the existing financing strategy for health pegged on perspectives and experiences from the academia; practitioners; private sector and civil society and insurance schemes. Plenary discussions: The moderator will then open the debate as the rapporteur notes the critical issues and resolutions emerging from the debate and discussions. 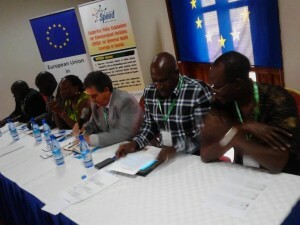 Special invitations will be sent to key stakeholders including SPEED Partners, Ministry of Health officials, Members of Health committee of Parliament, Development Partners; Media; relevant ministries, CSOs, Protestant Medical Bureau, Catholic medical Bureau, Islamic Medical Association of Uganda, Private Health insurers, District Health officers and Health professional councils etc. A total of 40 participants at strategic level are expected to be invited from the above category.